This makes them a great resource if you have questions about popular apps, video games and toys – as I often do! Today I’ve asked them to share some cool apps for family holidays – whether sending Gran a personal postcard from Lapland, learning about the Arctic Circle or downloading a book to read in your cosy cabin after the children have gone to bed. Available for iPhone and iPad (Free) We may be biased, but of course we had to include this travel-themed app about Lapland! Laplication beams the Northern Lights and midnight sun straight to you, wherever you are. Capture the Christmas magic by pointing your mobile device at the sky and hitting go – although there’s no substitute for the real thing! 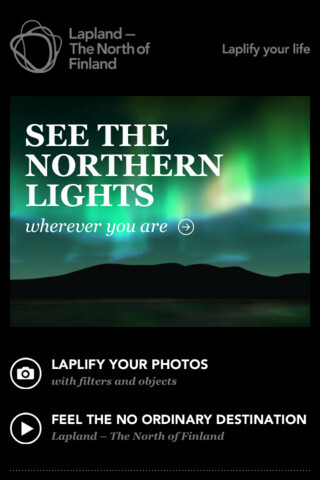 The app also offers fun Lapland-themed photo filters to add a bit of (fake) snow to your springtime, and works offline so you can use it on the go. Available for Android, iPhone, iPad and web (Free) Instagram and Facebook are perfect for sharing impromptu photos of the little ones cuddling a reindeer, but less tech-savvy family and friends will be left out of the loop. Involve Gran in your magical Lapland holiday with Postagram, which allows you to send your photos as physical, real-world postcards. As a bonus, the photo pops out so the recipient can put it on their mantelpiece or fridge with the Christmas cards. The app is free, but postcards are $1.99 each to send in Europe and $1 in the US. Elves love to be inclusive, so we appreciate that you can send a Postagram straight from the website – even if you don’t have a smartphone. Available for iPhone and iPad (£1.99) Holidays are an unmissable opportunity for children to learn about the world, and mobile maps and Wikipedia are a great way to swot up on the go. In the wild woods of Lapland, however, away from the WiFi in our cabins and hotels, data connections are pricey and patchy. Thankfully Pocket Earth’s maps and articles are available offline, so you can teach the wee ones about our special home in Lapland and the Arctic Circle without racking up some pretty un-magical roaming charges. Available for Android, iPhone and iPad (£2.49) After an unforgettable day of ice hockey, tobogganing and playing with huskies, your kids might be pretty excited at bedtime – especially if they are meeting Santa tomorrow! (Even we Elves get excited when Santa comes around.) If you all need some shut-eye before the big day, this engrossing app for children will settle them down; the New York Times even named it one of the best apps to keep children happy. The app’s highly interactive world is set inside a magnificent house, and appeals to boys and girls of all ages. Available for Android, iPhone and iPad (Free) While the kiddies play with My Playhouse to calm down after a fantastic day, you might want to unwind as well. If Santa didn’t bring you a Kindle or Nook last Christmas, the Kindle mobile app gives you access to their massive e-bookstore and library, just as you would get with the e-reader. Many of the classic books are free, so curl up in front of a roaring wood fire and read to your heart’s content without spending a penny. 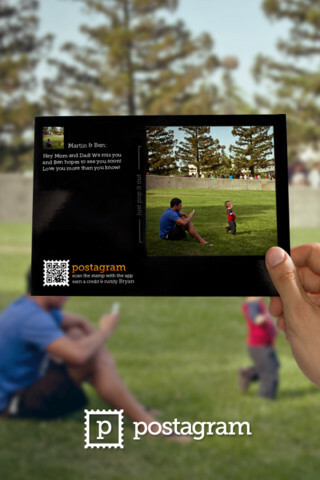 What are your favourite apps to take on holiday with the family? Let me know on Facebook!